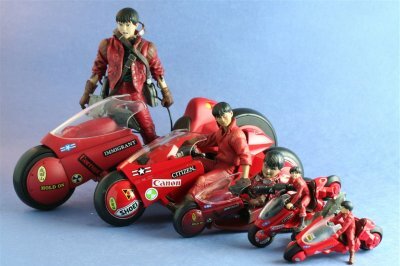 toybot studios: 1:6 Scale Kaneda and Bike from Akira by Project BM! 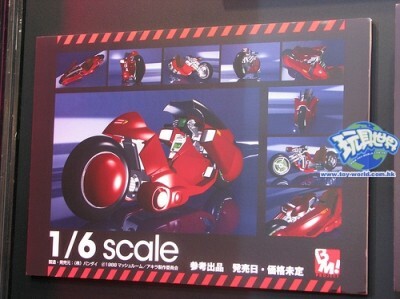 1:6 Scale Kaneda and Bike from Akira by Project BM! A lot of buzz about this set. 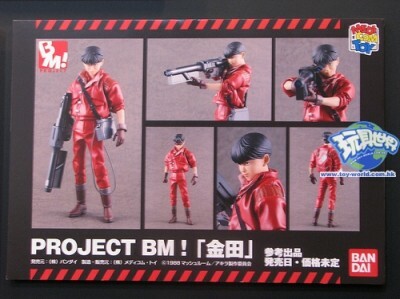 Project BM! 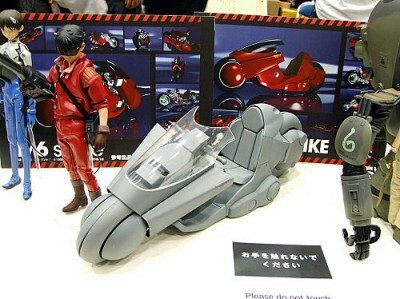 is going to be releasing a 1:6 scale version of Kaneda and his futuristic/beloved motorcyle from the anime Akira! 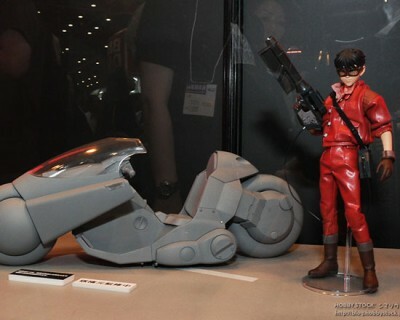 First show at the Tokyo Toy Festival and now Wonderfestival, this set is going to be a Kaneda fan's dream come true. 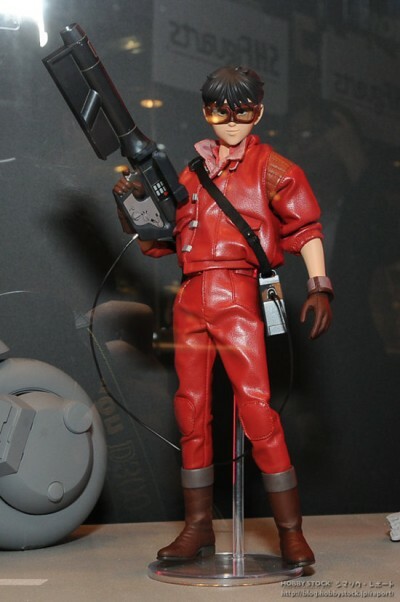 I don't collect 1:6 figures, but I will have to make an exception in this case. 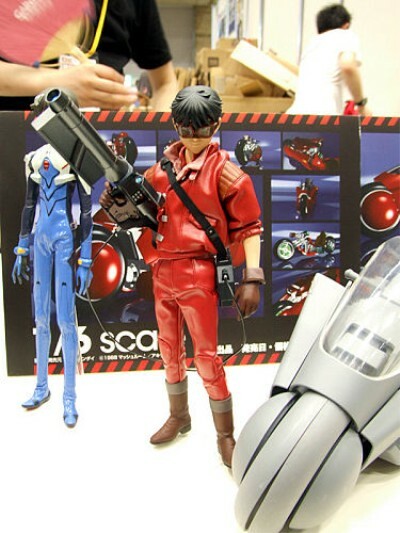 But since Kaneda will be 12" tall, him and his bike will take a lot of shelf space. Better start moving stuff now! 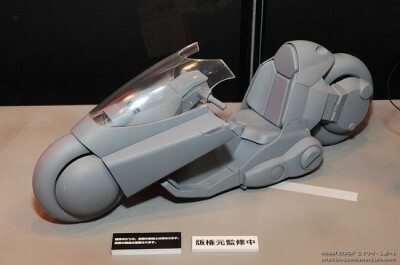 No word on price or release date, but it won't be cheap. 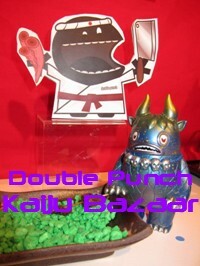 I'm gonna guess around $250+ for the set. Here's an old picture I took a few years ago. Funny thing is that out of the 15,000+ photos on flickr, this crappy pic is one of my most "Interesting" as defined by flickr.